Gaining weight and losing weight is as much to do with food and exercise as it is to do with our habits or more importantly, our bad habits. The mid morning snack, mid afternoon snack, night time snack, bottle of wine with dinner, grabbing chocolate when filling the car with petrol/diesel etc…what ever your ‘bad’ habit it, recognise it, pin point it and change it. Start a new habit…a ‘good’ habit. This is a ticket to a lifetime of yo-yo dieting – who wants that? It’s exhausting. So you need to change the way you view food – and that’s where Why Weight Ireland comes in. No particular food is ‘good’ or ‘bad’ – it’s just about how much you eat and how often, something you learn by keeping a food diary. So take your ‘bad’ foods off their pedestal – as long as they stay there you are making them desirable. 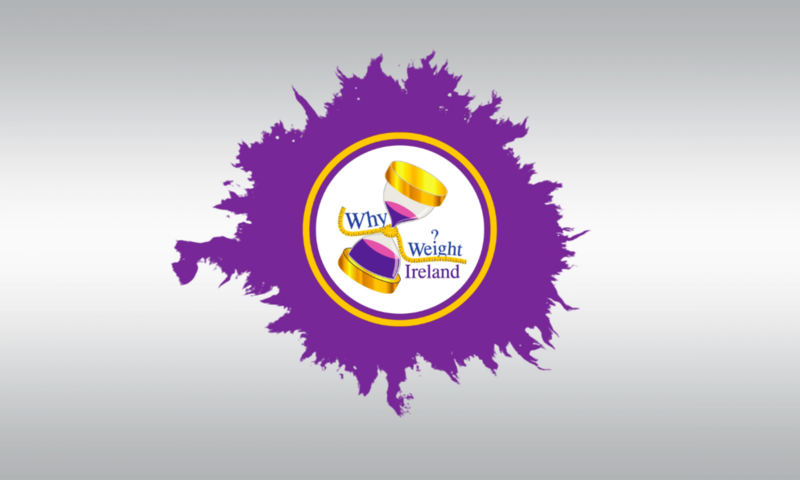 Why Weight Ireland is about learning that you can have what you fancy, but use your diary and eat in moderation. This is a hard one, as many of us were brought up being told we couldn’t leave the table until we’d eaten everything on our plate. No one likes wasting food, so the key is to get a smaller plate. A smaller plate that’s full is still as satisfying visually as a plate that’s a third bigger – and it’s an easy way to cut calories. While it is important to eat regularly and not allow yourself to become over hungry, it is also important to learn to distinguish between habitual eating and eating because you are genuinely hungry. Just because it is tea time, doesn’t mean you have to eat at that precise time if you aren’t hungry. Learning to listen to you body is a first step to controlling your eating (and weight) in the long term. I speak to the majority of Why Weight Ireland members either via the studio or by email and a topic that comes up a lot is that they couldn’t understand why they had gained weight when they were eating healthily – but the reason was their servings were just way too big. It is possible to have too much of a good thing! So if you are serious about losing weight, it pays to weigh – leave the kitchen scales out on the worktop. If you don’t have any, invest in a set. So you ate 4 cookies instead of the 2 you intended, and now you have a choice. Do you stop right there, or carry on and finish the packet? Many of us will identify with this ‘I’ve blown it so I may as well continue’. But think of it like this. Two extra cookies is maybe 250 calories more than you planned. But if you eat the rest of the pack, that’s 750 calories more at least! A small slip up won’t stop you losing weight that week if you stop right there. But the extra 750 calories might. Start thinking ‘damage limitation’. You’ve have a bad day, but rather than saying ‘I’ll start again next Monday’, draw a line and start tomorrow. The shorter you can make the time between slipping up and getting back on track, the better. Accept that losing weight is a challenge for most people – the secret of the successful is that they don’t stop trying. So put yesterday out of mind, start afresh tomorrow.